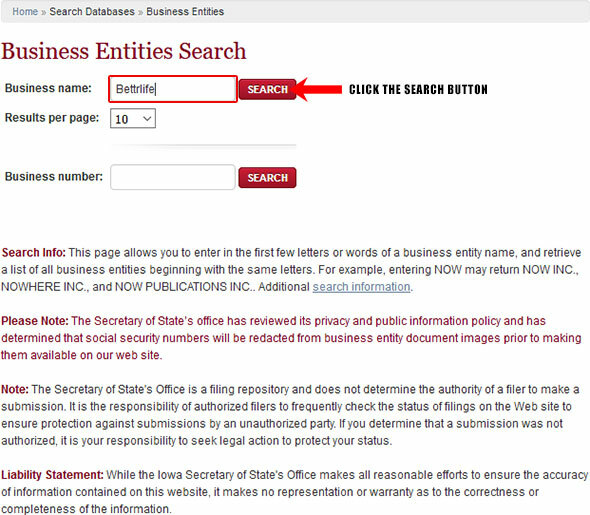 Below is a step by step guidelines on how to use the Iowa business search page. 1. 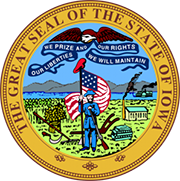 The first step is to access the Iowa Business search page by clicking here. (see the screenshot below for reference). 2. The next step is to fill out the business search form by either searching by a business name or by a business number. For this example, we will be searching by business name. 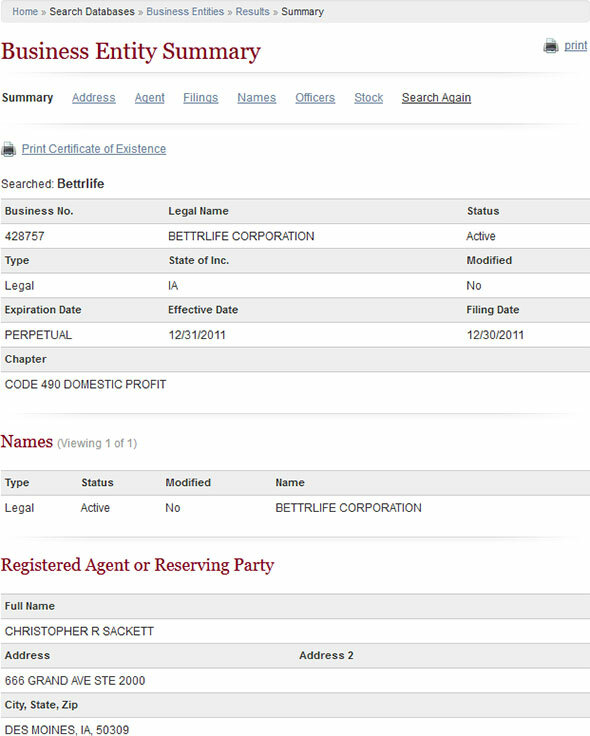 Go ahead and type in the name "Bettrlife" in the "Business Name" field. (see the screenshot below for reference). 3. Click on the "Search" button and the Results Page will show. Click the Business Number of the business you want to view the details for. (it will look something like the screenshot below). The Results Page will give you information regarding Business Number, Status, and Type of the entity you have searched. 4. Once you click the business number to view the details for that business, it will display information including Business Name, Business Number, Current Status, Agents, Filing Date etc. The Division also allows you to file online reports, as well as download online filing forms to form new entities in the state. Apart from the above, the Secretary of the State is also the custodian of the Great Seal of the State and the keeper of public records and archives.